Below is a selection of our favourite recipes of 2018 which we come back to time and time again. Please feel free to download any you would like to try out for yourself; we hope you enjoy making - and eating these delicious creations as much as we do! Delicious wholemeal Blueberry & Banana Muffins, perfect for a guilt-free new year treat! A perfect gift for Valentines Day; rich and buttery shortbread biscuits! These golden brown pancakes make the perfect Shrove Tuesday Treat! A deliciously moist fruit loaf made with tea which is traditionally served sliced and spread with a generous amount of salted Welsh butter. The ultimate cake for all the chocolate lovers out there! The ‘must-have’ celebration cake at the moment has to be the highly-colourful Rainbow Cake. 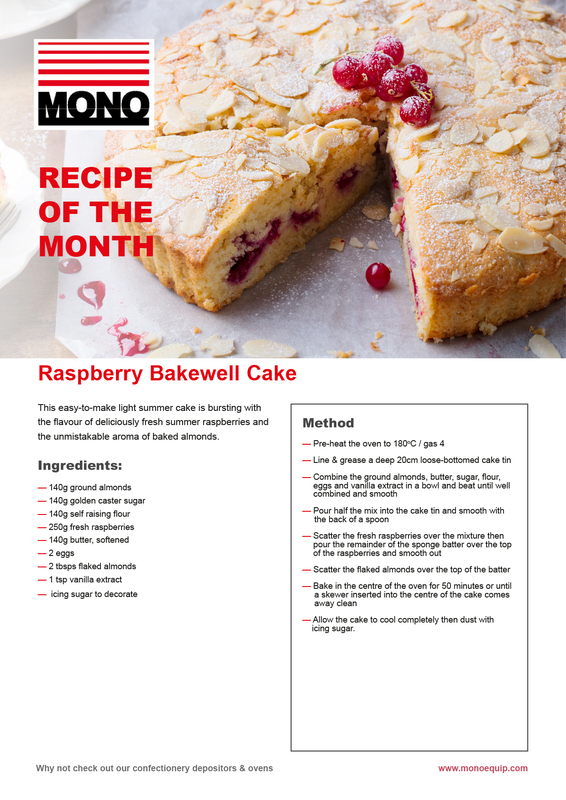 A quick and easy to make summer favourite filled with fresh raspberries and baked almonds! Summer Fruits Pudding is a favourite summer-time British dessert. An American favourite which has become hugely popular in the UK too. A delicious pie made using seasonal autumn fruits! A perfectly comforting snack for those crisp Autumn Days. Ideal for lunch boxes too! Laced with oats and ginger, Parkin makes a beautifully comforting and warming treat on these crisp Autumn November evenings. A delicious loaf cake full of the flavours of Christmas and so quick and easy to make too!